Catch up tv on Goodwood Festival of Speed. Steve Rider and Amanda Stretton present all the highlights from this year's Festival of speed - motorsport's annual garden party in the grounds of Goodwood House. Three-day motorsports extravaganza from the grounds of Goodwood House. A celebration of all things automotive for the event's 25th anniversary. A celebration of cars for the event's 25th anniversary. Hightlights from the three-day motorsports event from the grounds of Goodwood House. Nicki Shields, David Green and Peter Windsor with more from Goodwood Festival of Speed. 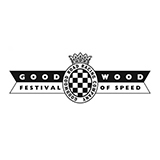 Nicki Shields and David Green present highlights from the Goodwood Festival of Speed. Nicki Shields David Green and Amy Williams with the best of Goodwood Festival of Speed. Including a celebration of the cars of James Hunt, and a centenary of BMW. Celebrating the 100th running of the Indianapolis 500 and the Goodwood Hill Climb. Featuring profiles of James Hunt and Barry Sheen and seven current F1 teams.